Ants are one of the most commonly found insects in and around homes. Getting rid of ants in your home as quickly as possible is essential, as ants can quickly invade a space. Ants are social insects and live in colonies both indoors and outdoors. Ants that nest inside can be located in wall voids or under floors. Outdoors they are often found under rocks or stones, under cement slabs, along landscaping borders, or just about anywhere they can find protection from the weather. Ant colonies consist of the queen ant(s), workers, larvae, pupae, and eggs. They develop from complete metamorphosis which means eggs, larvae, pupae and adults can be found in the nest. Ants are very opportunistic and can feed on many different types of foods outdoors including other insects and a syrupy substance called honeydew. Honeydew is the preferred food of many ants commonly found in the Lees Summit area and is produced from aphids. Honeydew is easily digested by the adults as well as the larvae. When rain washes away the aphids from the plants, ants will often trail inside the home trying to find other sources of food. If you see ants in your home, call for a home pest control service immediately to get rid of ants in your home. There are around 10,000 different species of ants throughout the world. However, only a handful are found in and around the Lees Summit area. 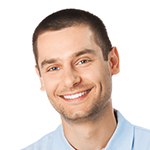 The most common ant species that Mantis Pest Solutions encounters is the Odorous House ant. These ants can nest both inside and outside. Odorous House ants can be found trailing to a food source by the thousands or be seen wandering aimlessly with only a few in numbers. 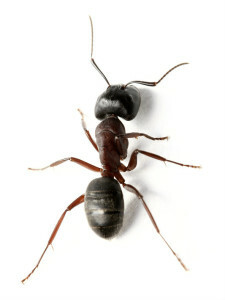 When only a few ants are seen in the house, these ants are usually scouts and are looking for food or better shelter. Once either of these are found, the ant will leave a pheromone trail so other ants can locate it too. Odorous House Ants prefer sugary foods but will feed on many other different types of food indoors as well. The worker ants take the food back to the nest and feed the larvae. If the food source is solid the larvae will convert the solid food into liquid, making it easier for the rest of the colony to feed. Odorous House ants get their name because when they are squished, they secrete a smell that is described as “rotten coconut”. Mantis Pest Solutions provides expert pet control and exterminator services in the Lees Summit area. We have a variety of safe and effective products and tools used for getting rid of ants in homes and other buildings, and we have the pest control expertise necessary to quickly and effectively get rid of ants in your home. We also provide both exterior and interior pest control and exterminator services to ensure that we don’t miss a spot. 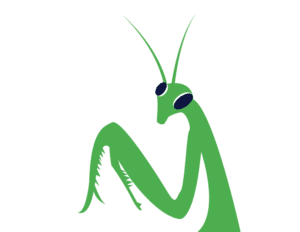 Call Mantis Pest Solutions at (816) 287-5030 or (913) 225-7060 to get rid of the ants in your house with our expert exterminator and home pest control service in the Lees Summit area.